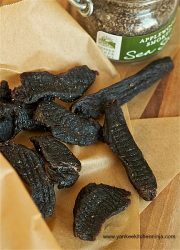 When we think about making the jerky in a dehydrator, the first name that hit our mind is a recipe of dried beef jerky. Dried beef jerky is also a favorite snack among the campers, hikers or fitness freak people. It is not only a healthy food option, but you can quickly get its recipes in numerous cookbooks of the dehydrator. While making the dried beef jerky, using the dehydrator is a good, economical and energy efficient technique. You can quickly make this snack in this machine. Dried beef jerky is a far healthier and better option than the market bought jerky. 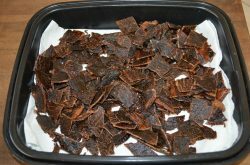 There are so many ways in which you can make the dried beef jerky in a dehydrator. But only a few of them turn out to be delicious and perfect at the end of the drying process. So, what you should do in such a case? As most of the people are becoming health conscious today, they usually search for the healthy recipes online. 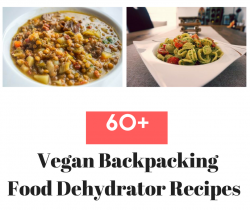 Are you also looking for some healthy dehydrator recipe? 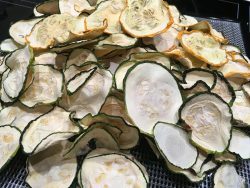 Here we will share with you the Zucchini chips dehydrator recipe. The zucchini chips are incredible snacks that you can eat without any worries. One of the best ways to cook the healthy meals or appetizers is with the help of the food dehydrator. Kale chips have become one of the most popular snacks for health enthusiasts or even for the passionate foodie. Considering how healthy these are, it is not surprising that kale chips form a part of most dehydrator cookbooks. Using a dehydrator to make kale chips is energy-efficient, cost-effective and good for your health too. It is so easy to make this healthy and nutritious snack using a dehydrator. Whether you grow or buy organic kale, making chips as an alternative to salty potato chips is so easy, thanks to the food dehydrator. This article covers 50 plus amazing recipes for kale chips that are flavorful, healthy and nutritious.